To win his or her case, an injured person must prove that all four of these elements more likely than not exist. If a plaintiff cannot prove any one of these elements, the case will be lost. This article focuses on the first element of Duty, and future posts will discuss the others. Duty is perhaps the most important element of negligence. Without a legal duty to act or not act in a certain way, a person cannot be held legally responsible even if he caused another’s injuries—and even when those injuries are catastrophic. In most cases, there is a duty to act as a reasonable person and use ordinary care in one’s day-to-day activities. For example, when you are driving on public roadways, you have a duty to exercise reasonable care to avoid injuries to others. 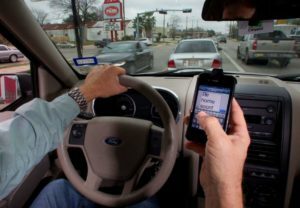 Dangerous activities that lead to accidents like speeding, texting while driving, and failing to pay proper attention are very likely to be violations of this duty of ordinary care. Depending on the context, the contours of the scope of the duty to use ordinary care can come from legislation, regulations, industry standards, as well as other sources. Oftentimes, the testimony of an expert is necessary to establish the applicable standard of care. A special duty can also arise because of the relationship between the injured person and negligent party. 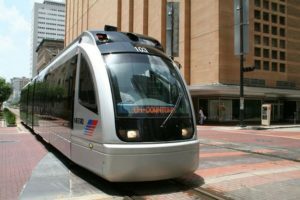 A train or bus company owes a special duty to their passengers to be very cautious, competent and prudent. In an employment context, employers often owe a duty to provide proper safety equipment or assistance to its employee. Similarly, at a construction site, a general contractor may owe a subcontractor a duty of care if the general contractor exercises control over the subcontractor’s work even though they are not part of the same company. A doctor owes his patient a duty to act as reasonably prudent doctor in the same or similar circumstances. Other times, whether a duty exists is not so clear cut. For example, John is walking through a supermarket and slips on a patch of spilled juice. As a result, he breaks his hip. Next to the spill is a wet floor sign that an employee of the store placed an hour before. The employee had gone on break after placing the sign and forgot to clean up the spill. Did the supermarket owe John a duty? Probably not! 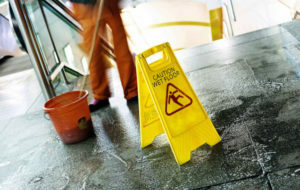 The reason is that, at least under Texas law, the presence of the wet floor sign next to the spill should have alerted John that the floor is slippery. Therefore, in light of the “open and obvious” nature of the condition, it is likely that a Texas court would find that the supermarket had no duty to clean up the spill, even though the store was on notice that it happened and could have cleaned the spill sooner. Although this is an example under Texas law, there is significant overlap in the various states’ laws of negligence. Nonetheless, it is very important to consult with a lawyer who is familiar with your state’s laws. The lawyers at Armstrong Lee Savage LLP have a nationwide practice and have litigated negligence cases across the country. Duty is a question of law for courts to decide. And it can be a very complex question—especially when multiple defendants are involved. Think, for instance, of a workplace accident where an employee may be injured by the independent acts of his employer, the property owner, a general contractor, and a subcontractor. The question of whether any or all of these potential defendants owed a duty may mean the difference between recovery of damages and dismissal! Thus, it is important to hire counsel who is well-versed in the law of negligence and understand its nuances. Our clients trust our lawyers to know, understand, and apply the law in their cases and provide them with the best possible legal advice to make informed decisions. And, in fact, other law firms come to us to analyze complex legal questions when the answers are far from obvious. If you believe that you have been injured by the negligence of another, do not hesitate to contact the lawyers at our firm for a free consultation.